Product categories of Steel Standard Kettlebell, we are specialized manufacturers from China, Steel Standard Kettlebell, Steel Kettlebell suppliers/factory, wholesale high-quality products of Standard Steel Competition Kettlebell R & D and manufacturing, we have the perfect after-sales service and technical support. Look forward to your cooperation! 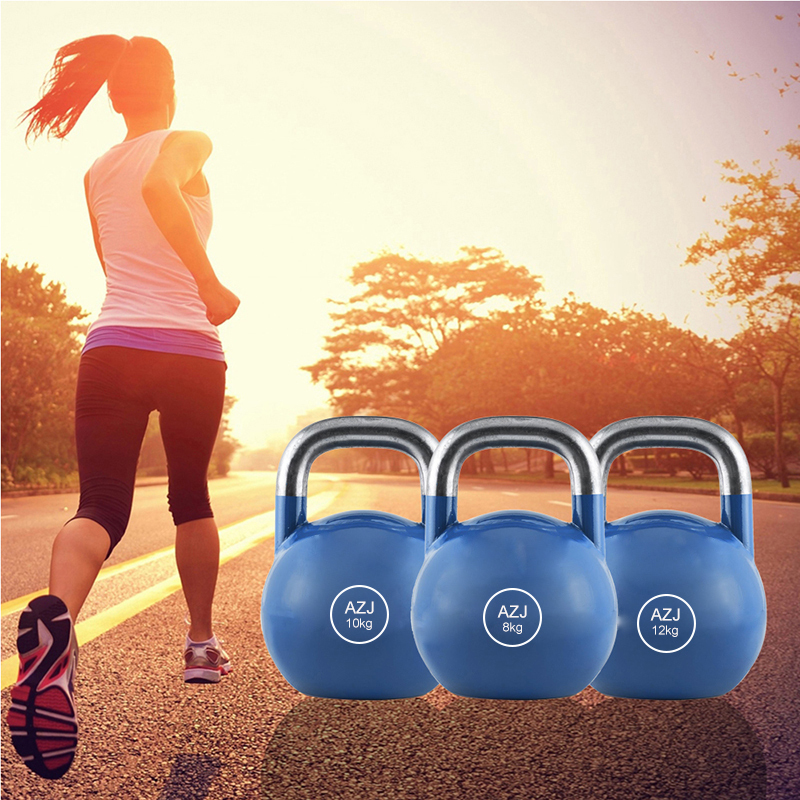 Steel Standard Kettlebell are made from high-grade steel. The Steel Kettlebell often have the same dimensions, regardless of their weight. This uniformity will enable exerciser to progress to a heavier weight as his/her strength improves without having to adjust to a different size kettlebell. Steel kettlebell's handles are usually thinner, so they tend to be more comfortable. Slip-resistant, their easy grip enables a precise and consistent range of motion for each repetition, speeding up your results. Color code system is introduced to steel kettlebell, to differentiate the kettlebells by weight, ranges from 4kg up to 48kg or more.